Dismissal of cases against bank for violation of the Emergency Economic Stabilization Act of 2008 and the Home Affordable Modification Plan (2012 WL 1977946, 2011 WL 6888530). Successful prosecution of non-solicitation claim on behalf of bank against former registered representative before a FINRA arbitration panel. Serves as national counsel to the nation's largest release-of-information medical records processing company in the defense of class action litigation. Defense of a national recycling facility with an Oak Ridge, Tennessee location in appellate litigation involving the manufacture of nuclear hazardous waste casks. Defense of motor carriers in numerous lawsuits throughout the Southeast in cargo damage litigation on issues which include: federal Carmack Amendment preemption of cargo damage claims (2012 WL 174937, 2009 WL 3152195, 504 F. Supp. 2d 1213, 2006 WL 1469416). Limitations of liability in cargo damage claims, EFS National Bank v. Averitt Express, Inc., 164 F.Supp.2d 994 (W.D. Tenn., 2001). Ken is a Partner based in Burr & Forman's Nashville office, where he focuses his practice on all types of commercial litigation. Ken serves as national coordinating counsel to the nation’s largest healthcare release-of-information company in litigation matters. In addition, Ken regularly represents a variety of businesses in the defense of class action litigation, non-compete and trade secret litigation, intermodal cargo damage and transportation litigation, securities litigation and arbitration, and general business litigation of all types in both state and federal court throughout the United States. Ken was named “Lawyer of the Year”? for 2016 by Best Lawyers in Transportation. 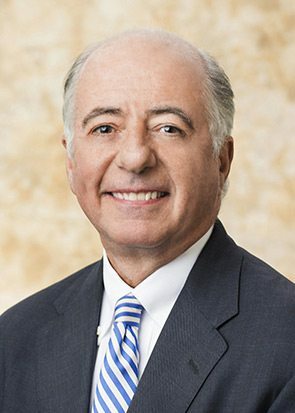 From 2015 – 2016, he served as the Chair of the Conference of Freight Counsel, a group of transportation attorneys in the U.S., Mexico, Canada and the U.K. Ken also served as co-chair of the Nashville Bar Association’s Federal Courts Committee.